One of my favourite items on display in Starring Vivien Leigh: A Centenary Celebration is the eye-catching issue of LOOK magazine from 17 December 1940. Earl Theisen’s striking cover photograph of Leigh posing stoically against a loud red, white, and blue background whilst knitting for Bundles for Britain highlights one of several interesting ways the actress used her fame to contribute to the British war effort. Leigh was in California in September 1939 when Prime Minister Neville Chamberlain announced that England was at war with Germany. She had signed a typical seven-year film contract with Selznick International Pictures in exchange for the coveted role of Scarlett O’Hara in Gone With the Wind, but these new political complications threw any plans of contractual fulfilment into disarray. 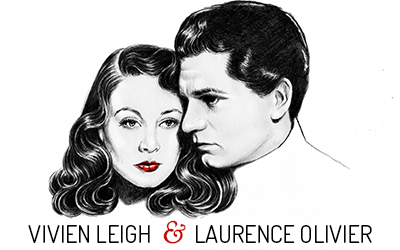 Fiercely patriotic, Leigh, along with her fiancé Laurence Olivier, wanted to return to London as soon as possible. However, they were advised by Minister of Information Duff Cooper that British actors in Hollywood would be of more use by staying put for the time being. 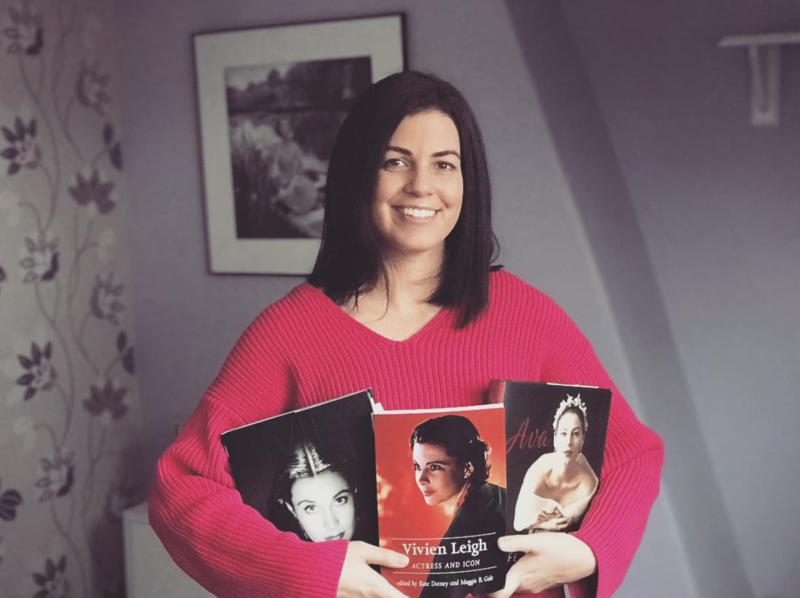 Leigh’s first unofficial wartime assignment was the 1940 tearjerker Waterloo Bridge, for which she was loaned to Hollywood’s most powerful studio, Metro-Goldwyn-Mayer. The following year she appeared in a more overtly patriotic film: Alexander Korda’s Lady Hamilton, a propagandist biopic in which she played Emma Hamilton to Olivier’s Horatio Nelson. In her spare time she took part in several ensemble radio broadcasts, performing dramatic readings from famous works, including Noel Coward’s ‘Cavalcade’. She also appeared at Red Cross charity events in New York where she and Olivier ended an unsuccessful production of Romeo and Juliet, and knitted clothing for British soldiers as part of the Bundles for Britain initiative headed by Natalie Wales Latham. Vivien certainly had many wonderful qualities. She was an inspiration to Britain and her contributions to the war effort were quite admirable. Thank you for the informative article. I find it admirable that Vivien Leigh never seemed to take the easier road but followed her convictions. And that North-Africa tour took courage. Something else – since I admire the way the films from the V. Leigh Anniversary Collection have been restored and I think it’s a pity that “The Deep Blue Sea” isn’t available in restored condition – do you know there is a Petition asking the Studio to release this film on DVD? I’m so happy for you given all of the opportunities that your stellar bio has provided you. What an honor to be asked to write something for the National Portrait Gallery. I’m always excited to come over here and read about all of the glamorous, fascinating things you’ve been up to, seen, whether in the UK or getting involved in Viv and Larry tributes here in the states.